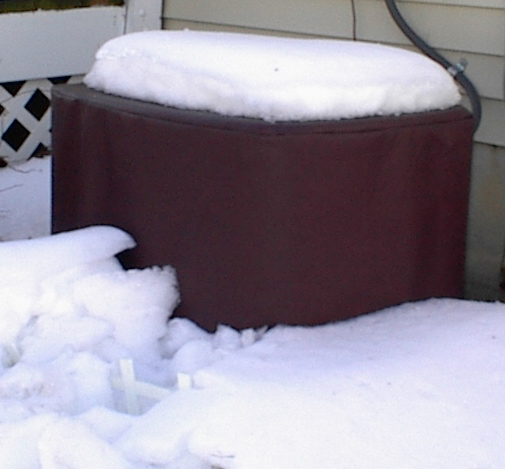 Harmful elements such as ice, snow, sleet, leaves, pine needles and other debris can decrease the efficiency and life of your unit. Provide us with the make and model of your unit and we’ll take it from there. Our database includes specifications for over 4000 different units, including this year’s newest models. Our high-quality covers are made of durable, heavy-weight fleece lined vinyl that will usually last as long as your air conditioner unit. The cover is designed for easy on/easy off use and is guaranteed never to blow off. We’ve worked with experts in the industry to design a cover allowing proper airflow that eliminates condensation build-up, mold and mildew. The material we use is treated to be resistant to many of the problems that you run into with inferior quality covers made of cotton, canvas or cheap vinyl knock-offs. A snug, sleek fit matches your air conditioner’s shape and size. 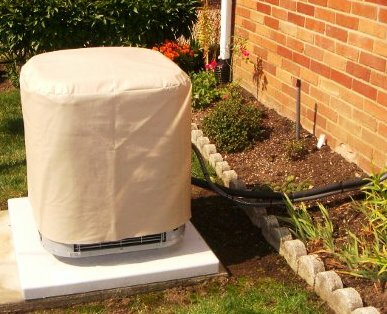 Our cover will fit like a glove because it is made specifically for your air conditioner. Choose from our selection of many colors. When ordering, please provide Make and Model of your air conditioner unit. Make and model can be found on a label located near the electrical connection of your outdoor air conditioner unit. If you need assistance, please don’t hesitate to call or email us. We can walk you through finding your make and model.